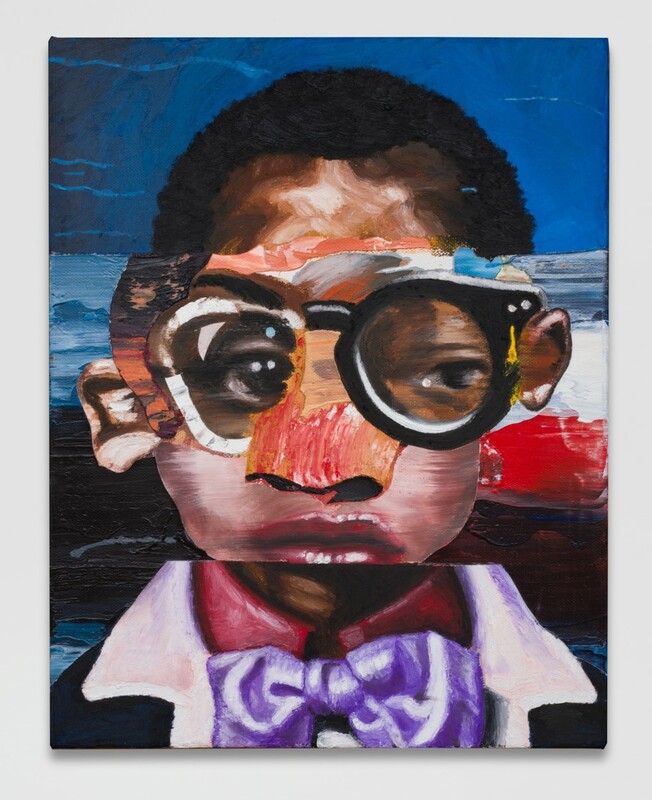 M+B is pleased to present Soundtrack, Nathaniel Mary Quinn’s second solo exhibition with the gallery. The exhibition will run from May 19 through June 23, 2018, with an opening reception on Saturday, May 19 from 6 to 8 pm. Nathaniel Mary Quinn’s paintings on paper and canvas demonstrate a singular approach to rendering the human form. 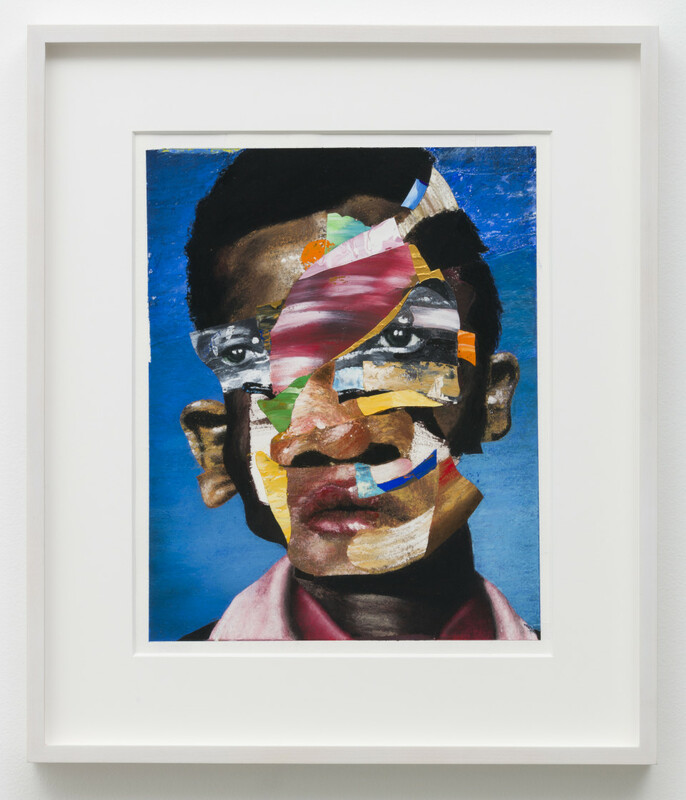 His fractured compositions appear as if they are physically collaged from various sources, but in fact are rendered completely by hand with a virtuosic combination of techniques and materials. These extraordinarily expressive composite figures are intimate portraits that resist any straightforward depiction. In these new works, Quinn pushes the abstraction in his figures even further. Working in charcoal, gouache, oil paint, oil stick, and acrylic, he skillfully renders facial features while also deconstructing his subjects with areas with bold colors, myriad textures, and thick gestural marks. Soundtrack presents a group of eleven new works in which music is a key connector. In its ability to act as a powerful agent of emotion and memory, each song works in tandem with an image to capture the joys, agonies, highs and lows of life. From Al Green’s soulful and intimate “Simply Beautiful” to Kendrick Lamar’s compelling storytelling in “Duckworth” and the profoundly heartfelt “A Song For You” by Donny Hathaway, each song pairs with moments in the artist’s life and amplifies the rich emotional landscapes found in his works. Nathaniel Mary Quinn (b. 1977, Chicago, IL) received his BFA from Wabash College and MFA from New York University. 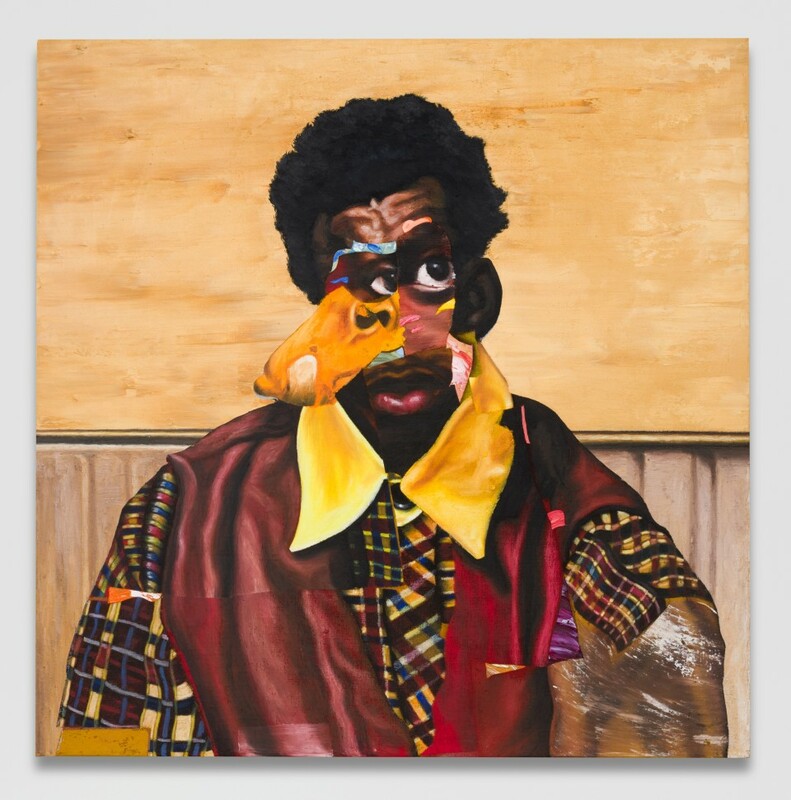 Recent solo exhibitions include Nothing’s Funny at Rhona Hoffman Gallery, Chicago; Highlights at M+B, Los Angeles; Past/Present at Pace Gallery, London; and Hybrids: The Windows Exhibit at the Museum of Contemporary African Diasporan Arts, New York. 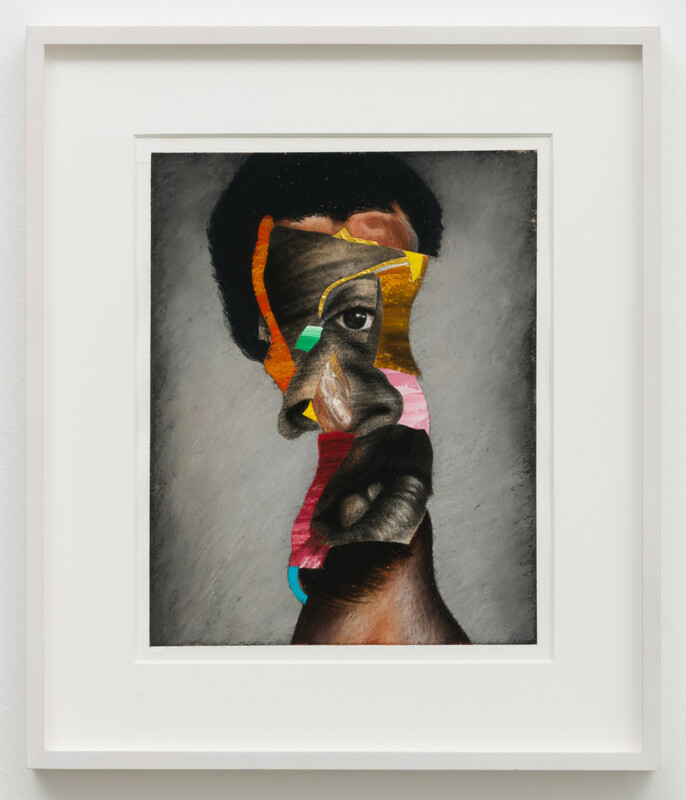 Quinn’s work will be on view in a three-person show, For Opacity: Elijah Burgher, Nathaniel Mary Quinn, and Toyin Ojih Odutola at The Drawing Center in New York this fall. Recent group exhibitions include Reclamation! Pan-African Works from the Beth Rudin DeWoody Collection at the Taubman Museum of Art, Roanoke, VA; Echoes: Identity and Politics in Contemporary Collage, Museum of Contemporary Photography, Columbia College, Chicago, IL; and Hope and Hazard: A Comedy Of Eros, curated by Eric Fischl at Hall Art Foundation, New York. The artist's work is in the permanent collections of the Whitney Museum of American Art, New York; Los Angeles County Museum of Art; Museum of Contemporary Art, Los Angeles; The Art Institute of Chicago; The Hammer Museum, Los Angeles; and the Brooklyn Museum, among others. Nathaniel Mary Quinn lives and works in Brooklyn.